Before I jump in full-force, I should say that this post is different than my usual fare. While I normally aim to share anecdotal stories that I hope will make you laugh, the goal here is to share information that fellow travelers to Myanmar (Burma) may find helpful. Tourism is a newer venture for the country, and I found the lack of accurate pre-trip information quite frustrating. This is the article that I wish I had read before boarding my flight to Yangon. Rumor #1: The Myanmar visa process takes a few days to complete, you must know your exact days of travel, and if you need the visa to be “rushed” you have to beg the representative at the embassy counter. Reality #1: You must apply for a tourist visa ahead of your trip at a Myanmar embassy. You cannot apply on arrival at a border unless you are traveling to Myanmar for business and have a formal letter of invitation from a sponsoring company. We applied for our visa while in Bangkok, and this information reflects that experience. There are two standard turn-around times for the visa—two-day and same-day. The major difference between the two being cost (two-day is approximately $29 while same-day is approximately $42; either can be paid in Thai baht). In order to apply, you must arrive at the embassy on Monday through Friday between 9:00AM-12:00PM and wait in line to submit an application for entry. This application requires information about your travel plans, current address, and employment history and requires that you supply a copy of your passport and two color passport-style ID photos. A representative at the end of the first line checks that your paperwork is complete and gives you a number so that you can wait to be called and pay the visa application fee. Each line took us about an hour and fifteen minutes and I would recommend getting there as close to 9:00AM as possible, so as to avoid being left outside in a line once the door is closed at noon. Once you pay the fee, you hand over your passport until the designated pick-up hour, which is between 3:30PM and 4:30PM daily. Again, I would recommend getting there early, as we arrived at 2:30PM and did not have our passports in hand until closer to 4:15PM. In the end, our visa allowed us to enter Myanmar at any point during the next 90 days. We had already booked our round-trip flights (and provided a copy of our itinerary along with the application), but it is helpful to know that your dates can be adjusted if an emergency arises. Rumor #2: The exchange rate offered at the Yangon airport is preposterously low and the best way to change your money to Myanmar kyat is through black-market dealers in Yangon. Reality #2: While a few years back, changing money at the airport would have led to a 95% loss versus changing money through “black market” dealers, the airport exchange counters now offer a fair rate (currently around 856 kyat to $1 USD). Rumor #3: You can only exchange US currency in perfect condition that was minted later than 2006 for Myanmar kyat. 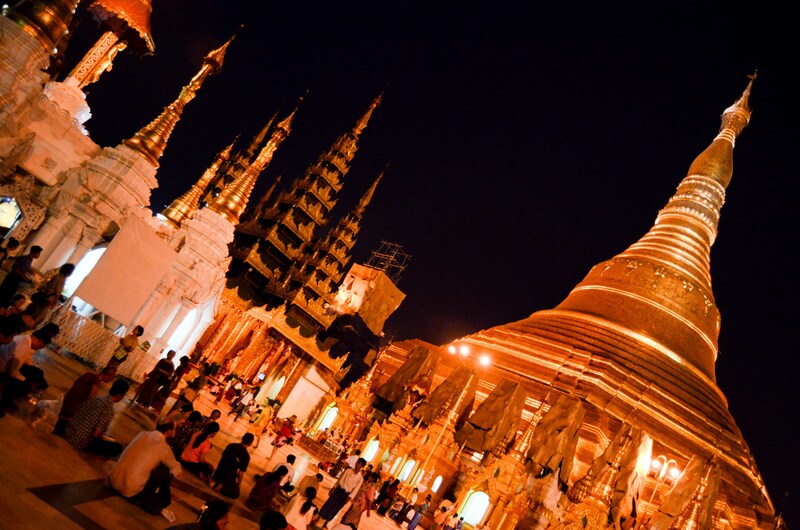 Reality #3: Most money exchange locations throughout Myanmar accept USD, Euro, or Singapore dollar. If changing USD they do, in fact, need to be from 2006 or later and in perfect condition (no tears of any kind). You can change small bills or hundreds, although you will receive a slightly more favorable rate for larger denominations. 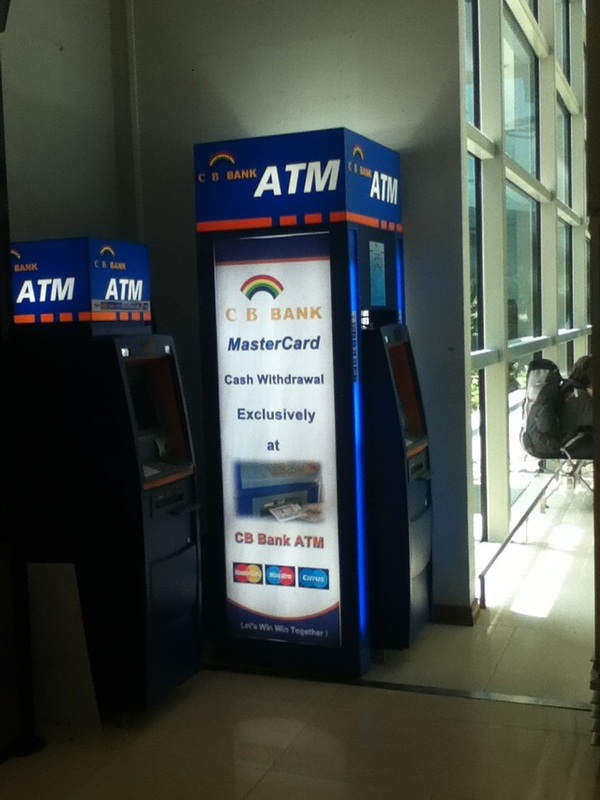 Rumor #4: There is only one ATM in all of Myanmar (in Yangon) and it is unreliable. You have to carry all of your cash with you from the start of your trip and you’re in trouble if you run out. Reality #4: As of December 2012, there are multiple ATMs throughout Yangon and other highly-visited cities (I withdrew money in Nyaungshwe/Inle Lake although I did not see an ATM in the Bagan area). Visa is currently more widely accepted than MasterCard, although there is a MasterCard ATM at the Yangon airport (see crappy iPod photo as proof). The ATM fee was a steep 5,000 kyat, but definitely worth the peace of mind knowing that you can access money if you need to. Rumor #5: There is no internet access, especially WiFi, in Myanmar. Reality #5: WiFi service is available at many hotels, guesthouses, and tourist-serving restaurants in Yangon and Bagan. While I was not able to access WiFi while visitng Inle Lake, there were several internet cafes/rooms where you could pay to get online. Staying connected while in Myanmar is no longer an issue. “Kyat” is pronounced “CHI-AT,” or at least that’s what I heard. Start there and someone will know what you’re trying to say. 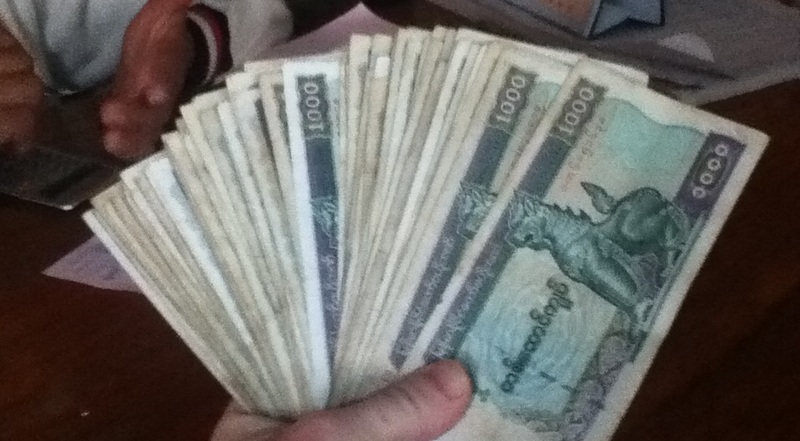 When changing money at the airport, you will typically be provided with 1,000 kyat bills. The current exchange rate is 857 kyat to $1, so changing over $300 will lead to a ridiculous stack of bills. Ask for 5,000 kyat notes, if available. Paying for our hotel at Inle Lake. That massive pile of kyat was the equivalent of $87. And yes, my thumbs are funny. Most travel agencies and guesthouses prefer payments in USD and will occassionally use an inflated exchange rate if you’d like to pay with kyat. Because of this, I chose to only change over half of my money for the week. Myanmar is a largely Buddhist country and dress errs on the conservative side. When visiting pagodas and other religious sites, always remove your shoes, cover your shoulders, and wear pants or skirts that reach below the knee. While you would feel like “a nun” dressed in a long skirt and capped sleeves in Thailand, you will fit right in on the streets of Myanmar. From what I read and heard, both before and during our trip, overland (bus) travel between major cities in Myanmar is time-consuming and largely unpleasant. Once I read this Legal Nomads article my decision was made—flying was the way to go, especially given that I only had one week to explore, and a day spent recovering from an overnight bus trip would be a day lost. Travel agencies offer the best rates (I paid $105 for a chartered flight from Yangon to Nyaung-U (Bagan) with Sun Far, $86 from Nyaung-U to Heho (Inle Lake) with Asian Wings, and $115 from Heho to Yangon with Yangon Air). Taxis from the airport to the city center varied from 7,000 kyat in Yangon to 25,000 in Inle Lake. Sharing with another tourist(s) is always an option. Men make kissing noises to get the attention of someone in their way on the street, a waiter for the bill, etc. They are not making inappropriate sexual advances towards you, although you can be flattered if you’d like. As an American citizen I was allowed to stay in the country for 28 days, but limited myself to a week due to the incorrect information collected before the trip. My bottom line—use that visa for all its worth! You’ve gone through the hassle to get there, so enjoy it!